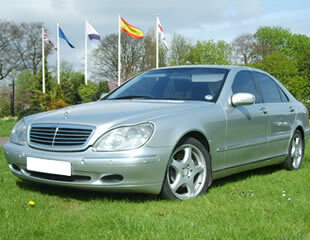 Limo hire in Manchester, Blackpool, Bury and Liverpool from Big Slo Limo Co. Ltd. Chauffeur cars for proms, weddings, hen nights and parties. 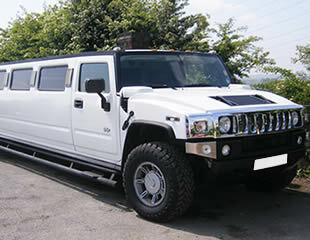 Limos for hire in Manchester, Bury, Liverpool and Blackpool! 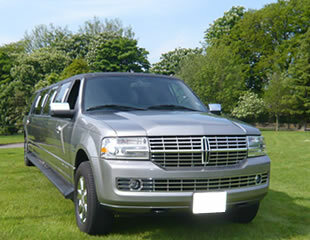 Big Slo Limo Co. Ltd offer the most comprehensive fleet of stretched limousines for hire in Manchester, Bury, Blackpool and the North West of England. Based in Radcliffe (a stone's throw from the City centre), we also cover Bolton, Wigan, Rochdale, Liverpool and other neighbouring towns. 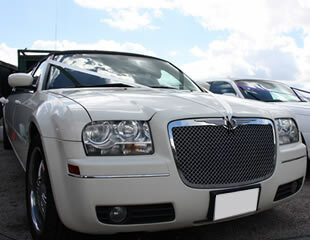 Our extensive choice of standard length saloons, stretched limousines and fun packed party buses range from modern Hummer 4x4s and eight seater Chrysler 'Baby Bentleys' through to beautiful classics like the 'fairytale' Beauford Tourer and vintage Austin Princess. 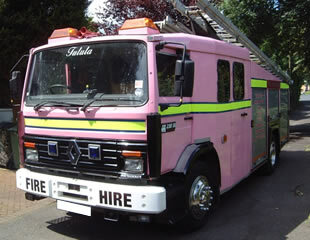 Vehicles are available for bookings in an extensive range of colours including pink, silver, white, black and cream, all in A1 condition. Where required, our larger vehicles are COIF certified, in accordance with VOSA regulations. 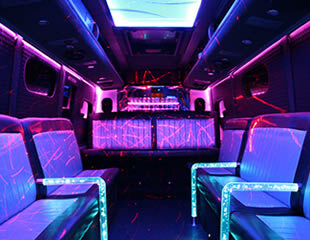 Our fleet also includes an amazing 20 seater party bus, offering a real disco experience on the road! 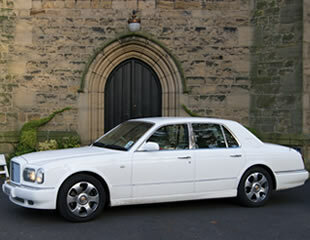 Travelling in or around Lancashire in our clean, reliable chauffeur driven limousines will ensure that you make a grand entrance, whether its at a college or school prom, a wedding, a birthday party or hen night - so allow us to give you the kind of VIP treatment thats normally only experienced by Hollywood celebrities! 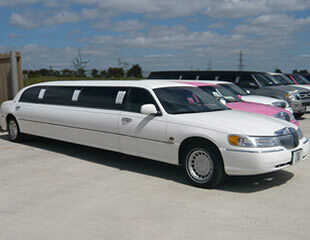 Limousines for proms, weddings and parties! 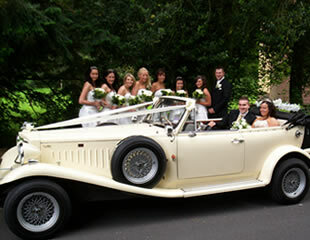 Big Slo Limo Co. Ltd have been chauffeuring party-goers, airport travellers, brides, grooms, children's parties, hens, stags and prom couples for nearly two decades, all with an exemplary safety record. As a trustworthy operator we take chauffeur training and passenger comfort as our number 1 priorities, which we feel is reflected in our high level of repeat custom. Why not see our 'Customer Testimonials' page to find out what genuine previous customers have to say about their time with us! 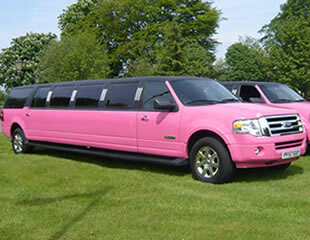 Remember, those looking for prom cars, an airport transfer or a last minute booking shouldn't panic! We often have vehicles available for last-minute bookings or same-day requests so why not give us a try? 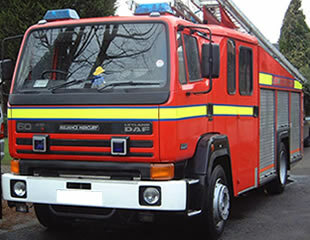 We could be the team to save your day! Travel with us for the chance to SAVE MONEY over other forms of corporate or leisure travel, especially when comparing our great prices to alternatives such as first class train tickets, sky-high station car park charges or flagging down mulitple taxis. A journey with Big Slo is easy and hassle free to book, with flexible terms and customer focused professionalism. 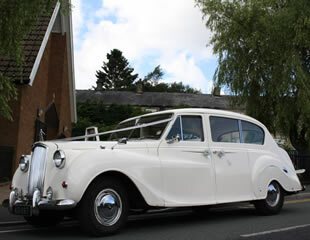 Allow us to provide you with the most stylish way to travel or to arrive! We are flexible to your needs and can tailor a travel package that is just right for you! Whatever the occasion, call our friendly bookings team freephone on 0800 083 1782 (charges may apply by mobile operators) or use our local number 01204 522 422, or simply complete the online enquiry form under the 'Bookings' tab at the top of the page. We check all incoming messages throughout the day so guarantee a quick response to all prospective customer enquiries. Allow us to take care of your travel plans, whatever the occasion. Your carriage awaits! We regularly take bookings for our business and executive clients looking for something with that little bit extra. In these tough economic times our choice of chauffeur driven vehicles provide affordable, cost-effective travel in a morale boosting environment without costing the earth! From one-off journeys to a regular account we have a package to suit your business needs. Highly trained, professional drivers in immaculate vehicles ready to add some extra comfort and relaxation to your journey. © 2014 Speedway Designs Ltd and Big Slo Limo Co. Ltd. Enquiries and bookings: 0800 083 1782. PLEASE NOTE: VEHICLE SPECIFICATIONS MAY VARY AND ARE SUBJECT TO CHANGE WITHOUT PRIOR NOTICE. PLEASE CONTACT US DIRECTLY IF YOU HAVE SPECIFIC REQUIREMENTS FOR YOUR BOOKING.